Gustavus Adolphus College is set to host the 2016 USTA/ITA Midwest Regional Championships in St. Peter, Minn. this weekend. The tournament runs from Friday, September 23 through Sunday, September 25 and will feature 30 of the top teams in the region at eight sites throughout St. Peter and Mankato. 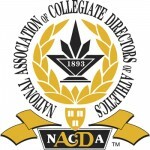 The National Association of Collegiate Directors of Athletics (NACDA) and Learfield Sports have announced the final totals for the 2010-11 Directors’ Cup and Gustavus Adolphus College finished 21st out of 435 competing NCAA Division III schools. The Gustavus women's tennis team advanced to the NCAA Midwest Region Final for the 20th consecutive year with a 5-1 win over UW-Whitewater at Bally's Indoor Tennis Center in Chicago on Saturday afternoon. The Gusties will now face host University of Chicago for the right to advance to the NCAA Team Finals, which will take place on May 24-26 in Claremont, California. The Gustavus women's tennis team has been selected to participate in a NCAA Regional Tournament at the University of Chicago this Friday, May 13 through Sunday, May 15. 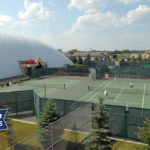 Gustavus will serve as the host for both the MIAC Men's and Women's Playoff Championships this Friday and Saturday at the Brown Outdoor Tennis Complex. 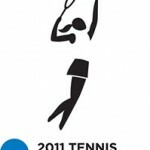 The 2011 Playoff Tournament begins at noon on Friday, May 6 with two Quarterfinal men's matches, while the women's playoff begins with two Quarterfinal matches at 3:00 pm. Rain has moved today's Carleton-Gustavus match indoors at LifeTime Fitness in Lakeville, Minn. Warmups start at 3pm, with a match start time of 3:30pm. The match was originally scheduled to be played at the Bell Outdoor Courts on the Carleton campus in Northield. 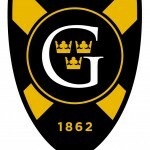 Three Gustavus Spring sport teams will be using their Touring Week break to head to warmer climates to open their 2011 seasons. The men's tennis and women's softball teams are in Hawaii, while the women's tennis team is in Puerto Rico. Gustavus women’s tennis player Samantha Frank wrapped up an outstanding fall season with a strong performance at the Intercollegiate Tennis Association (ITA) Small College Championships, which were held in Mobile, Alabama on Oct. 14-17. Frank, who was unseeded in the eight-player singles draw, advanced to the championship match before falling to Kristin Lim of Claremont-Mudd-Scripps Colleges 0-6, 3-6. Samantha Frank continued her strong run at the USTA/ITA Small College Championships as she advanced to the championship match of the singles draw with a hard-fought win over Karisse Bendijo of The College of New Jersey by the score of 7-5, 7-5 on Friday morning.